Good Health Begins from the Gut! 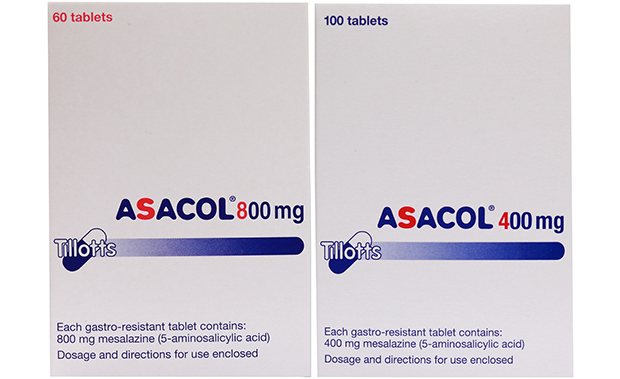 Asacol (mesalazine) is a medicine for the treatment of the inflamed lining of the large bowel (colonic and rectal mucosa) and is prescribed as a first-line treatment for mild to moderate ulcerative colitis. 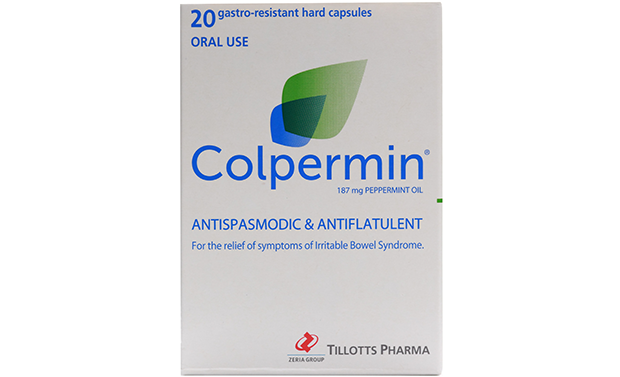 It is available as tablets in 400 and 800mg strengths. 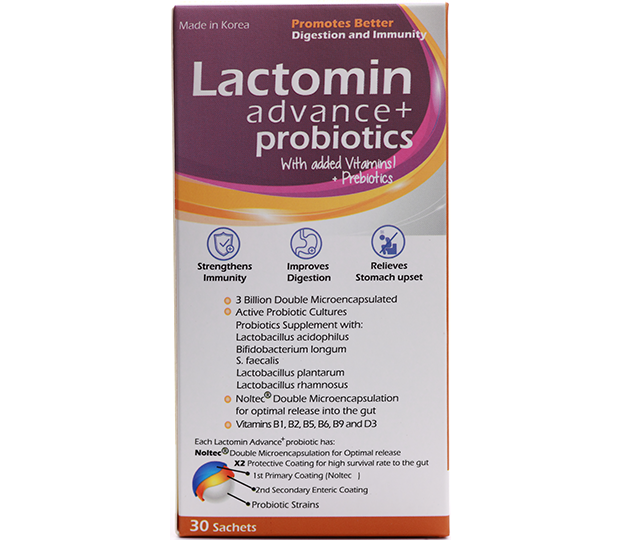 Lactomin Advance+ probiotics is 100% natural and GMP certified by KFDA (Korea Food and Drug Administration). It promotes better digestive health through its unique patented combination of lactobacillus acidophilus, bifodobacterium longum, streptococcus faecalis and the widely researched lactobacilus rhamnosus and lactobacillus plantarum. It is a great-tasting probiotics which does not require refrigeration. Lactomin Advance+ and Lactokids are made in Korea by Novarex, one of Korea’s leading and largest manufacturer of probiotics, health supplements and nutraceuticals, with its parent company being the largest pharmacy franchise group in Korea- Onnuri Chain drugstores. Lactokids+ is specially formulated for kids. It has 10 billion active probiotics to boost a child’s immunity and build a strong digestive system. It is GMP certified by KFDA (Korea Food & Drug Administration). It has the world’s first and only double microencapsulation by Novarex Tech which assures over 90% of the probiotics enters the gut and achieve a very high survivability rate. 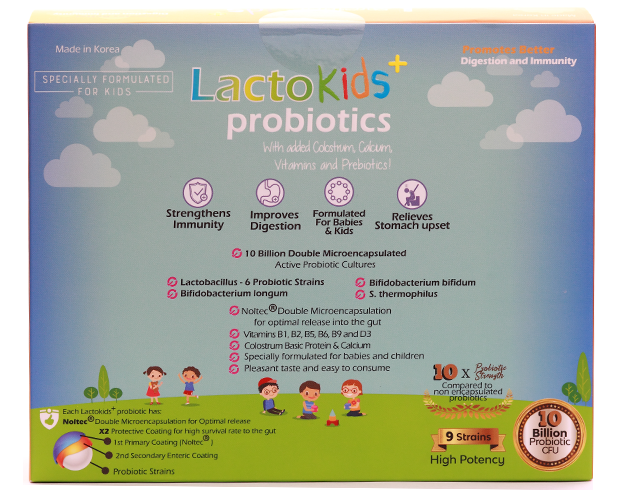 Lactokids+ is a great-tasting probiotic loved by children, with no need for refrigeration. Lactomin Advance+ and Lactokids are made in Korea by Novarex, one of Korea’s leading and largest manufacturer of probiotics, health supplements and nutraceuticals, with its parent company being the largest pharmacy franchise group in Korea- Onnuri Chain drugstores.